Case Study—This case study highlights the value of ethnography in changing a client's perspective. 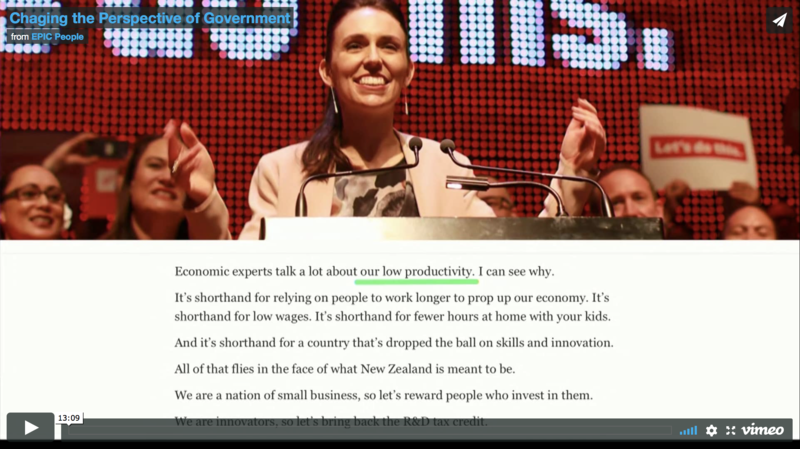 New Zealand's productivity has been deceasing, and the government wants to reverse that trend. Empathy's government client believed that macro-level forces were having a major impact on the productivity of small businesses, and wanted to suggest ways for small businesses to directly combat those forces. Empathy conducted ethnographic research, and the results required the client to change their perspective. While the government client saw increased productivity as a means to increase the standard of living, ethnographic research revealed some small businesses see increased productivity as a threat to their values and standard of living. If the government wanted to increase productivity, they were going to have to change tact completely and start talking to and supporting small businesses in a way that took their fears, motivations, beliefs and values to heart. Please sign in or create a free account to access the leading collection of peer-reviewed work on ethnographic practice. To access video, Become an EPIC Member.